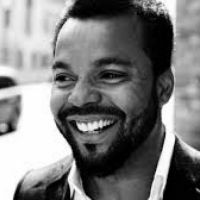 Myles Sanko is a UK based Soul & Jazz singer who has been tearing up clubs around the country for the last few years. Tonight he appears live with a stonking 6 piece band, so hold on ! Myles will be performing tracks from his critically acclaimed new album 'Born in Black & White'. Get ready to be blown away !